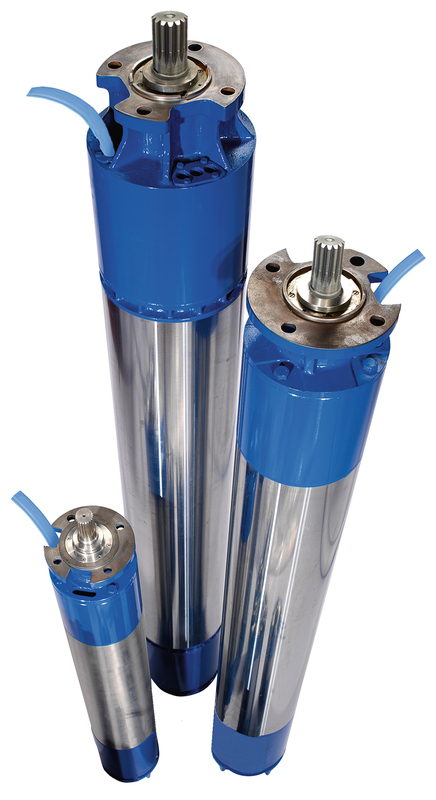 Six inch submersible motors for farms, irrigation, industrial and commercial applications. Especially well suited for higher water temperatures due to their 140 F capability on 10 - 50 HP models with HP derating. Standard temperature capability of 10 - 50 HP is 113 F. Sand slinger and silicon carbide mechanical seals provide protection against sand intrusion.